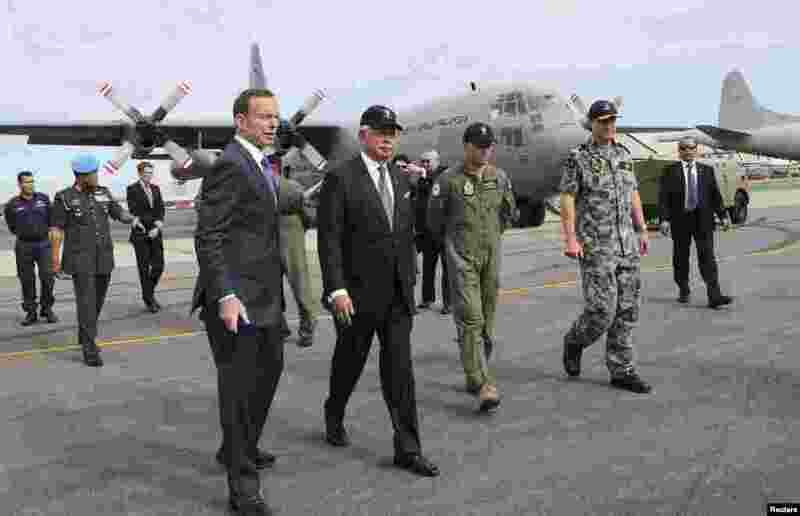 1 Australia's Prime Minister Tony Abbott and Malaysia's Prime Minister Najib Razak tour RAAF Base Pearce, near Perth, April 3, 2014. 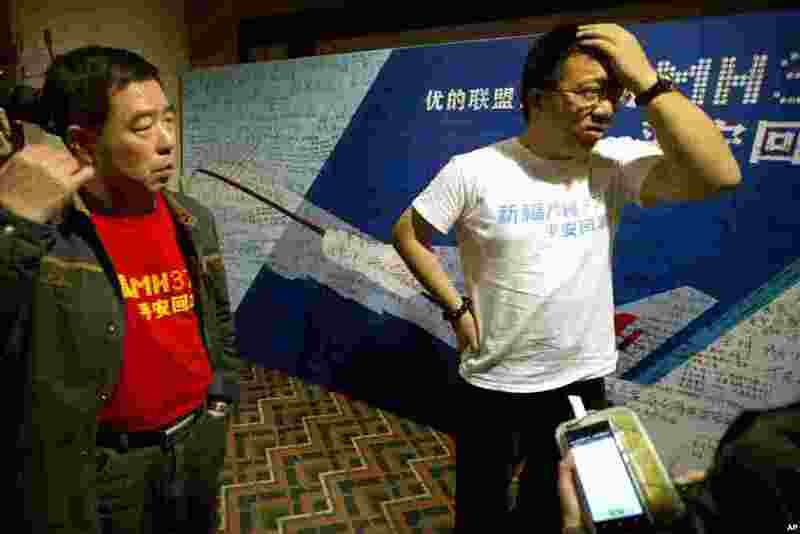 2 Steve Wang a representative from the committee for relatives of Chinese passengers onboard Flight MH370 talks to journalists after a closed door meeting with Malaysian officials via teleconference in Beijing, April 2, 2014. 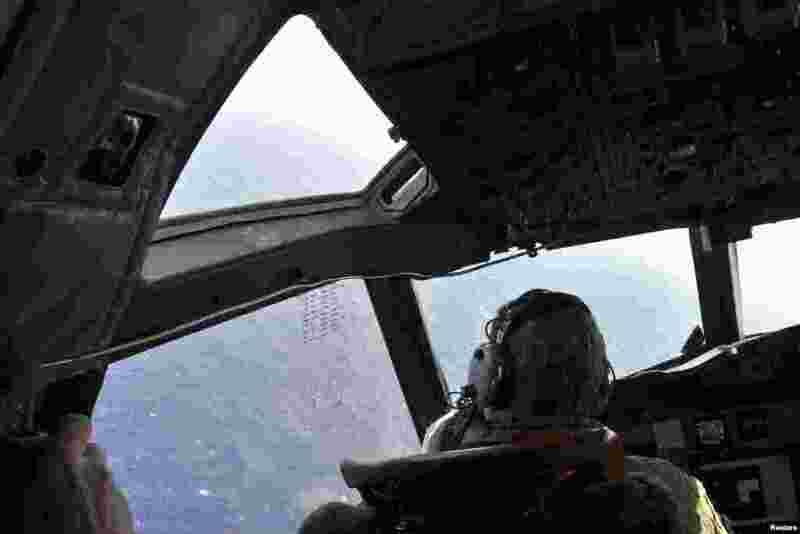 3 A crew member sits in the cockpit of a Royal New Zealand Air Force patrol aircraft as it continues searching in the southern Indian Ocean for Flight MH370, April 1, 2014. 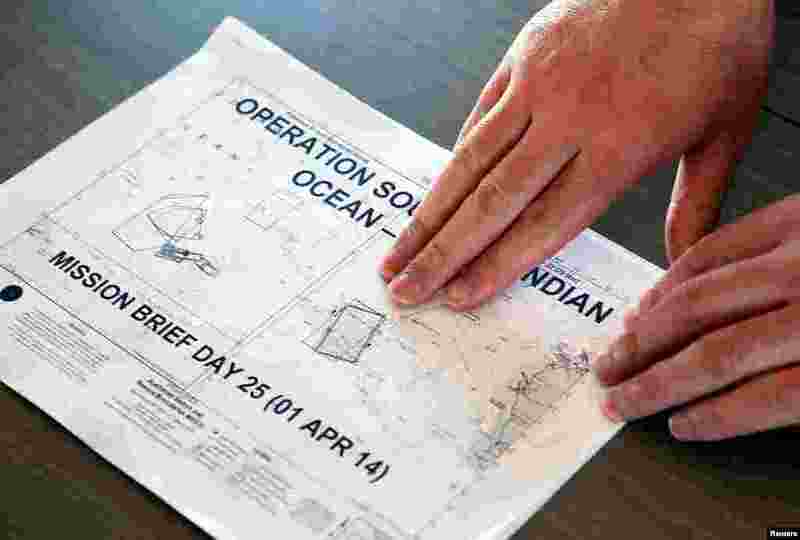 4 Kojiro Tanaka, Head of the Japan Coast Guard mission, points to briefing notes regarding the search as his aircraft flies over the southern Indian Ocean looking for debris from Flight MH370, April 1, 2014.